Hormones are a big deal. For men AND for women throughout every stage of life. Hormones are, "chemical messengers that are secreted directly into the blood, which carries them to organs and tissues of the body to exert their functions. There are many types of hormones that act on different aspects of bodily functions and processes" (source). 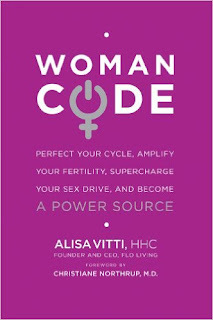 What I love about the book WomanCode by Alisa Vitti is the way she embraces hormones and teaches women to live in harmony WITH them and not to fight against them. I wish I would've read this book 10 or 15 years ago (though it didn't exist yet). I actually purchased it awhile ago, skimmed it, but didn't read it in its entirety until last week. "the only way your hormones can achieve balance is if your body does the job - and only if you safeguard and nurture it, with every meal and habit, every day, to optimize endocrine function." This book is empowering. In my own medical/health journey, I like to learn as much as possible about my body and how it works. This book is cool because I think Vitti respects her readers and their ability to learn and grow. I love that she's empowering thousands of women (and men) to understand the hormones floating around in our bodies every single day! Also, she empowers women to BELIEVE in the healing power within our bodies already. I like that a lot. Vitti kicks cycle shame/body shame/female shame to the curb! She takes away all the shame that is so often associated with women's bodies, cycles, and hormones! "Your brain is your endocrine system's ultimate project manager. EVERYTHING that happens in your body begins with a signal produced somewhere along your endocrine system"
IS THAT NOT SHOCKING? EVERYTHING THAT HAPPENS in our bodies is related to our hormones that send the signal! 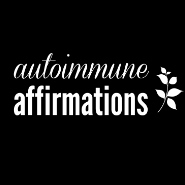 I feel inspired to be nicer to my body and all my organs - especially my liver who does so much work processing my platelet-related medicines. "Blood sugar management is truly at the heart of my every day, every meal approach." - I like that she correlates mismanaged blood sugar with a host of issues. Within 2 days of following her protocol for blood sugar management, I felt so much better and more energized. No exaggeration. And I'm not waking up with foggy brain or migraine brain anymore. It's pretty amazing. Vitti says that mismanaged blood sugar is processed by the body as a stressor - and so the body responds by pumping out cortisol and adrenaline. I was a chronic meal-skipper and now I really see how much extra stress that was putting on my body. Plus, I'd always end up ravenous at night with a giant bowl of corn chips and hummus on my lap. SO much information about the adrenals; I came to recognize all the ways I've taxed mine to the max! And I now feel more equipped to be kind to my adrenals! The dietary guidelines are very achievable. Though it definitely takes discipline. It's much easier to say no to "crap" now, though. I just think to myself, "I don't want to do this to my adrenals! They have enough to deal with." Love the idea of embracing each of the four stages of our monthly cycles as women. 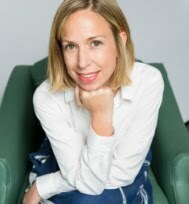 She educates readers about the stages - the hormones involved in each week of each month - and she mentions ways to live and eat in harmony with THAT particular stage. It's a cool concept, and intuitively, it makes a lot of sense to me. LOVE this paragraph of her book...."I came to embrace Dr. Northrup's message that the collective unconscious beliefs we carry within us about being women can, over time, influence our bodies. And if you've ever experienced a state of hormonal breakdown like the one I had, these beliefs may have taken even deeper root within you because of a sense of betrayal by your female body. When I finally connected these dots, I asked myself, Do I really want to continue thinking this way? Do I want to see my body as a liability? I came to see that...I had to make peace with the fact that my body is female on a very fundamental level." This is a great resource for any woman (or a man who wants to understand these dimensions of female existence)!